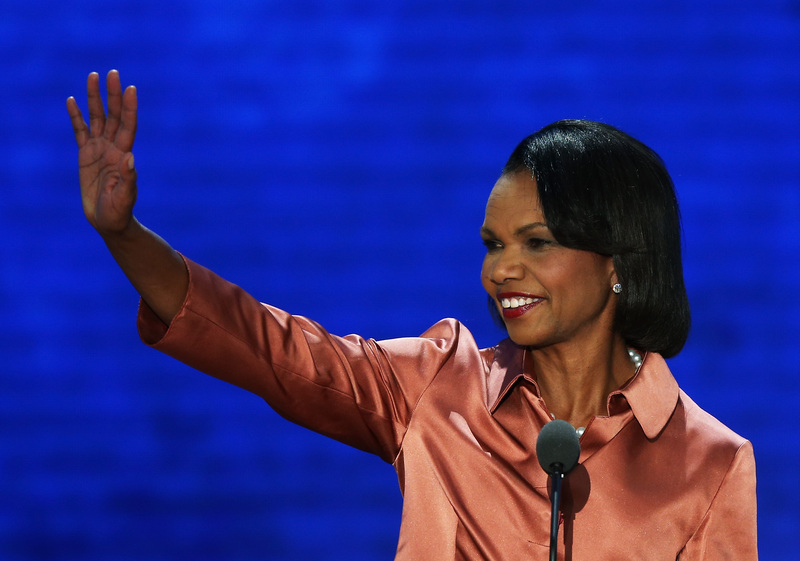 Maybe former Secretary of State Condoleezza Rice was just getting bored with all this lack of controversy in her life. After file storage company Dropbox appointed her to its board of directors this week, Dropxbox users immediately started a campaign to oust Rice. Turns out many of the site's users bristle at the appointment of a former official they believe worked at odds with the idea of a free internet under President George W. Bush. Dropbox, founded in 2007, lets users share and store files easily over the internet. In its most recent iteration, Dropbox for Business, it promises to keep users' files safe, secure and private. As of November 2013, the service had 200 million users. The Drop Dropbox movement is circulating a petition asking users of the service to "drop Condoleezza Rice or we will #DropDropbox." The site claims the movement is non-partisan (hmm), and lauds Condi's many accomplishments. But it goes on to list her involvement in the Iraq war, the Bush administration's torture program, and her time on Chevron's board of directors as strikes against her. Given everything we now know about the US's warrantless surveillance program, and Rice's role in it, why on earth would we want someone like her involved with Dropbox, an organization we are trusting with our most important business and personal data? One Dropbox user, Bill Anastas, told The Wall Street Journal that the company erred in appointing Rice. I don’t have to agree or disagree with the ideologies of the people that make the things that I use, but when those ideologies come to the surface and they go against my thinking, it’s difficult for me to separate the company from the ideology and continue as usual. Perhaps Condi should've pulled a Bush and just taken up painting. It seems to be working for him.